Cumhuriyet is a collection of Turkish coins. These include all the monetary units that began to be minted in 1933. This year was officially proclaimed the Republic of Turkey. Along with this event, there was a change in the appearance of memorable and investment specimens of the regular coinage. On all samples, the portrait of Mustafa Kemal Ataturk and the inscription Turkiye Cumhuriyeti remain unchanged. The first coins in Turkey appeared in the middle of VII century BC. 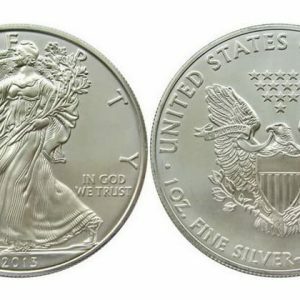 The monetary unit had a round shape and consisted of a precious metal − electrum − a natural alloy of gold and silver. An image and an emblem of the production site were cast on the surface, as well as a sign confirming the weight. The most ancient samples of coins belong to the Lydian settlement and its ruler Creuse, the richest man on the Aegean coast. Did you know? 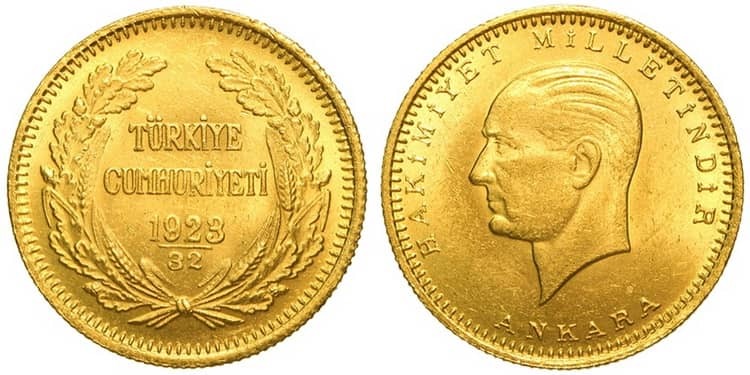 Turkey’s gold coins minted before 1930 are particularly interesting for collectors and scholars for a number of features. Vintage designs contain complex Arabic inscriptions. They are considered confused and impossible to read. In addition, the evaluation of coins complicates the date of coinage, marked on the old precious metal samples. The difficulty lies in the fact that in the ancient Arab world used the Hijr calendar, which is different from the Julian one. In the IV century, the Ottoman Empire was founded, and in 1327 a new monetary unit appeared. Sultan Orhan I Ghazi decided to mint coins of silver − acche. According to Islamic canons, no images were minted on its surface. The legend was Arabic script in the form of a farewell blessing and prayer inscriptions. This coin was spread on the territory of the Ottoman possessions and neighboring states until the XIX century. 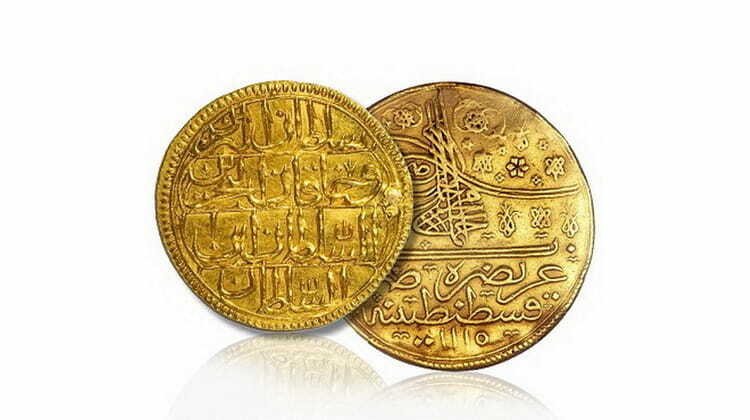 In 1454, the first gold coin was minted in the Ottoman Empire − the Sultani, or Altun. It was produced during the reign of Sultan Mehmed II the conqueror immediately after the fall of Constantinople. The precious metal currency represented the end of the power of the Byzantine Empire. In 1623 a silver coin was added − a pair (minted until the middle of the XIX century), and in 1680 − a kurush. Did you know? Originally kurush was a large silver coin, which was later reduced in size and made the hundredth part of a lira. Each kurush was equal to 40 pairs. Kurush firmly entrenched in the circulation of money of the Ottoman Empire and continued to exist in the Republic of Turkey. The currency unit has replaced the European currency − instead of the Legendalder and the Reichstaler. The Europeans themselves called it “piaster.” The coin served as a small exchange of 1 to 100 identical to a cent or a penny. Due to the fact that the weight and purity of the precious metal constantly decreased, the rate of kurusha was unstable. Did you know? The first Turkish State Mint was founded in 1467 under the ruler Sultan Mehmed II the Conqueror. Since then, the production has not only minted cumhuriyet, but also create jewelry and medals. In 1844, along with the Kurush, the currency of the Ottoman Empire became a larger unit − the lira. The first circulations were minted of gold and had an impressive weight. Over time, the mass of the monetary unit fell, as well as the sample. 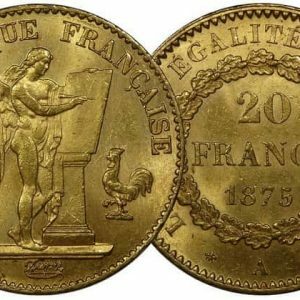 Later, it was decided to produce regular coinage from nickel or aluminum alloy, and commemorative and investment coins − from precious metals. In 1933, when Mustafa Kemal Atatürk became the ruler of Turkey, the kurush and lira were left as the main currency. From now on, Latin transcription was used on all monetary units. Both coins were decorated with the inscription “Turkiye Cumhuriyet”, which means “Turkish Republic”. 2005-2018 – 1, 5, 10, 25, 50 kurushes, 1 new lira. Such a high value of the lira, from 1981 until 2004, is due to the fact that inflation occurred in the Republic of Turkey and the money depreciated. If in the early 80s the lira to the dollar was 1 to 9, then in the 90s the ratio reached 1 to 2000. For such indicators, Cumhuriyet was added to the Guinness Book of Records (at the peak of the crisis, the cost of 1 $ USD was 1 350 000 lire). Did you know? In the Guinness Book of Records, the Turkish lira was thrice named the least valuable currency in the world. This happened in 1995, 1996 and 1999. Inflation was so high (up to 70% per year), and the exchange rate was so bad that new Cumhuriyets of larger value had to be introduced almost every two years to match prices. 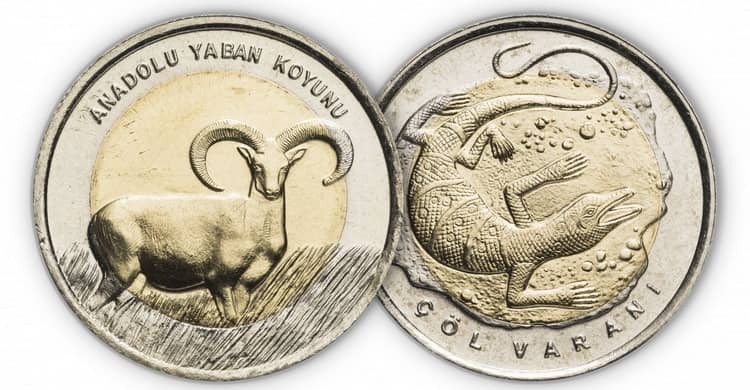 In different years, the nominal value of the coin grew: in 1988, a coin of 500 Turkish lire appeared, in 1990 – 1,000 lire, in 1991 – 2,500 lire, in 1992 – 5,000 lire, in 1994 – 10,000 lire, in 1995 – 25,000 lire, in 1997 – 50,000 lire, in 1999 – 100,000 lire, and in 2002 – 250,000 lire. During the denomination, the government of Turkey had to remove 6 zeros. Coins of the regular coinage with the inscription “Cumhuriyet” with the nominal value of 1 kurush are minted from brass, 5, 10 and 25 kurushas − from copper-nickel alloy, 50 kurushes and 1 lira from bimetal. 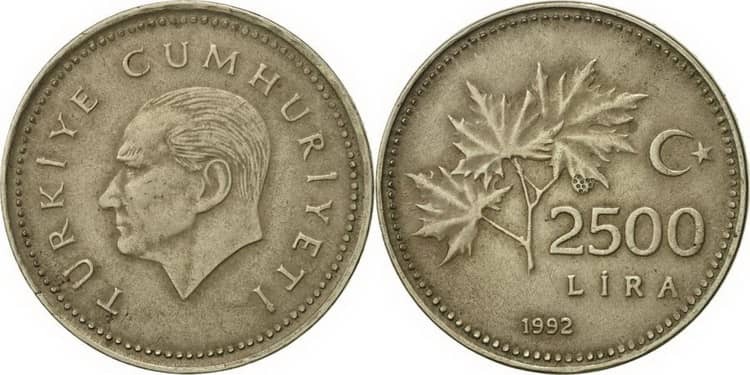 The portrait of Mustafa Kemal Ataturk is minted on the obverse of all specimens, there is a dot under the image and the inscription Turkiye Cumhuriyet around the portrait. Did you know? From 1844 to 1881, the lira cost was based on two systems. The Turkish coin was estimated at 6,61519 grams of pure gold or 99.8292 grams of pure silver. From 1881 to 1914 Turkey adopted the gold standard, and then during World War I, the country abandoned the gold standard, and the lira continued to lose value until 1920. On the reverse of the coin in the center in two lines the denomination and the name of the monetary unit (TURK LIRASI – lira, KURUS – kurush). Some time on the surface there was an inscription YENI − “new”, but in 2009 it was removed. On each coin at the top is a traditional symbol − a crescent with a star, in the lower part is the year of issue. The information on all the samples was struck against the background of the ornament, and only on specimens of 50 kurush values in the background is there an image of the sights of Turkey – the suspension bridge of Istanbul. 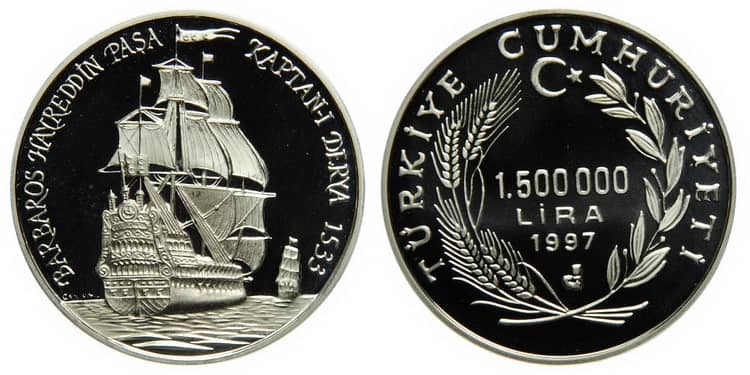 Commemorative Cumhuriyet released in quality Proof and Uncirculated, making mainly of silver. A large series is devoted to the fauna of Turkey − animal endemics. These include coins with the image of the Angora goat, Anatolian sheep, mouflon, Turkish Angora, four-toed jerboa, mixed wings (Proof) and ladybugs (Proof). A very extensive series of “Great Turkic states”. Circulation released in 2015 as Uncirculated. Nominal Cumhuriyet − 1 kurush, precious metal − silver. On the surface of the coins are images of flags belonging to various Turkic peoples. Since 2005, the regular mintage Cumhuriyet produced in the amount of not less than 5 000 000 samples. 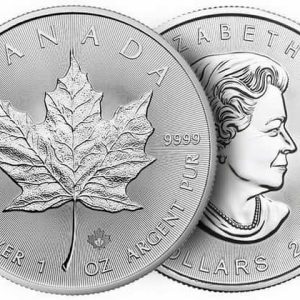 Commemorative coins are issued in limited quantities, for example, the Fauna series is minted in the amount of 5,358 pieces. In addition to the regular coinage in Turkey, modern Cumhuriyet is made of gold − investment coins, which are usually bought not only for profit, but also as a traditional gift for a wedding, child birth or anniversary. Only in 2013, the country minted copies of 2,900,000 ounces of gold. Today, the Turkish Mint produces up to 1,500 coins a week. Among the regular coinage in Turkey there are no unique coins of Cumhuriyet, so their collectible value is low and is within 4-10 cents. 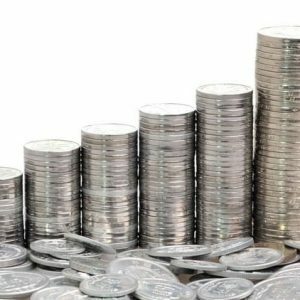 The price of commemorative coins is much higher. Silver specimens of the Fauna and Great Turkic States series are estimated at the expense of the collection value and the amount of the precious metal in the composition. Today, their cost is 40 $ USD. The cost of investment samples varies depending on the price of gold on the exchanges.